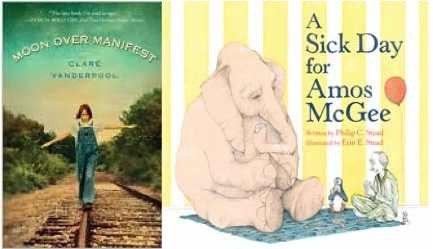 The American Library Association (ALA) announced this year's winners. A Sick Day for Amos McGee by Erin Stead (illustrator) and Philip Stead (writer) for the Randolph Caldecott Medal and Moon Over Manefest by Clare Vanderpool for the John Newbery Medal were announced on Monday. Read about all of the awards and honors by clicking above on the ALA link.